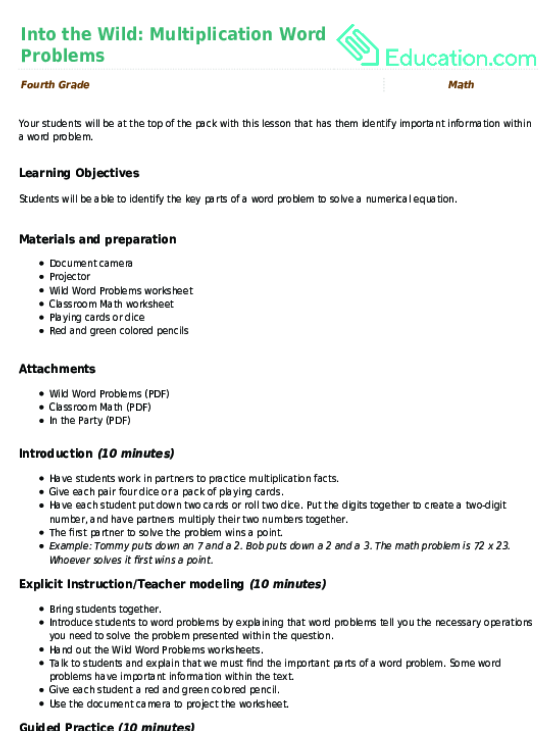 Students will understand how to interpret a multiplication equation as a comparison and interpret word problems as multiplication equations. 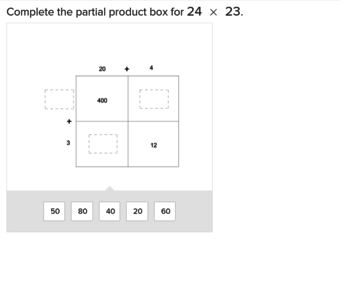 Review the commutative property of multiplication with students. write 12x9 and 9x12 on the board. 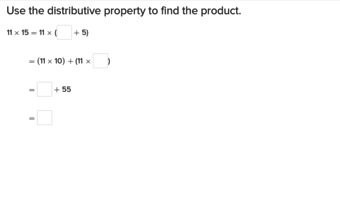 Create a visual representation of these problems by making 12 groups of 9 under the first problem and 9 groups of 12 under the second. Ask students if these problems are the same and if the order matters. Then ask students to look at the models and explain how they compare and differ. Tell them that though both equal 108, the models have a different number of sets. Explain to the class that the order of the problem doesn't matter but the comparisons between the models do. Write 35 = 5 x 7 on the whiteboard. Then write: 35 is 5 times 7. Below that write: 35 is 7 times 5. Have students draw the models for each and explain the differences. 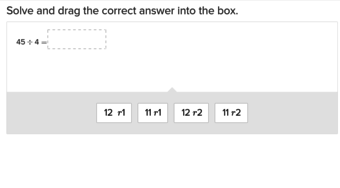 Remind students that one quantity is being multiplied and the other number tells how many times. 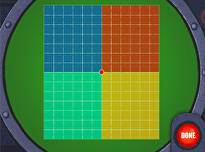 Explain the order in which the numbers are multiplied doesn’t matter. 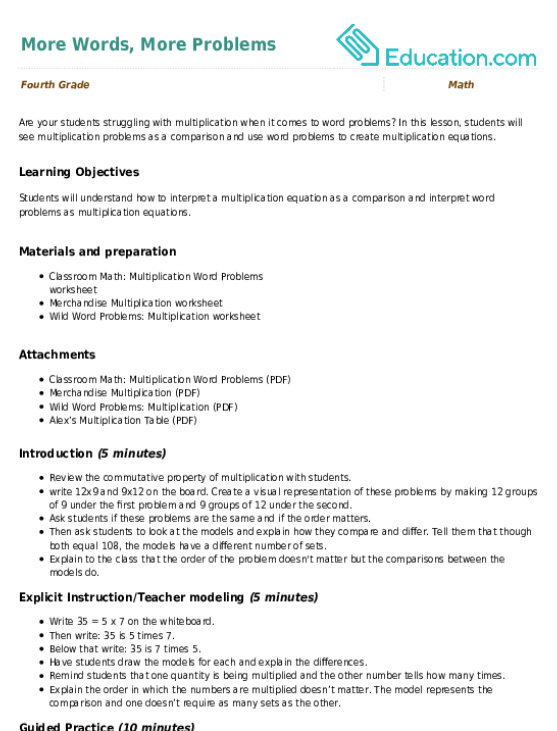 The model represents the comparison and one doesn’t require as many sets as the other. Allow students to work in pairs or small groups. 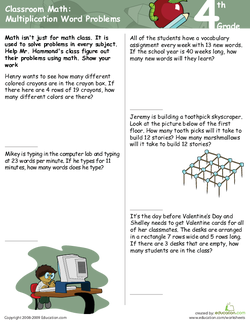 Hand out the Classroom Math: Multiplication Word Problems worksheet. Complete the first problem with students to show them they must solve the problem first and then create comparisons. Allow students to explain their answers before moving on. 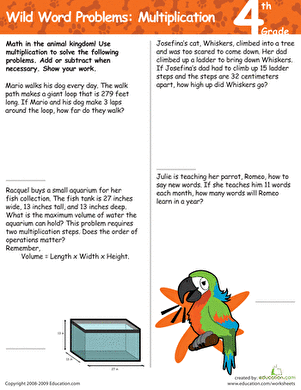 Give students the Merchandise Multiplication worksheet. 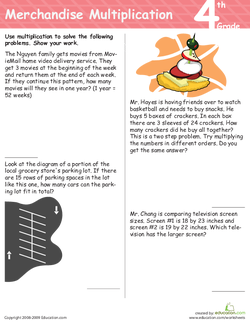 Advise students that they will be working on real life scenarios alone so that they can understand the importance of multiplication and comparisons in everyday life. Help students as needed but make sure they are completing both the equation and comparisons. 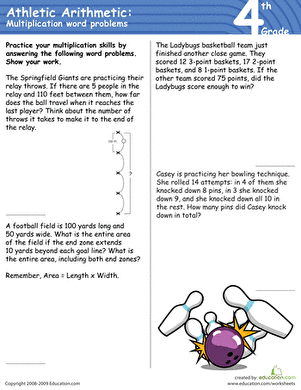 Enrichment: Advances students could create their own real life word problems to calculate and compare. 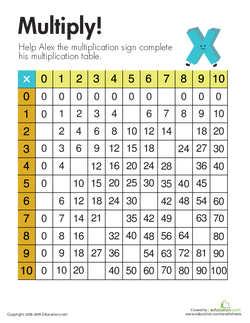 Support: Students who are struggling could be given Alex’s Multiplication Table worksheet to help with the calculations. 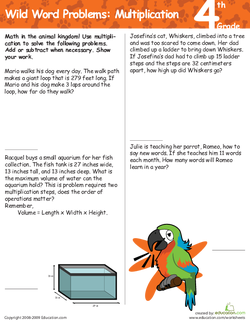 Give students the Wild Word Problems: Multiplication worksheet. Advise students they are to use the same rules to demonstrate their understanding. Tell them that one of the problems has three numbers but the same principles apply. 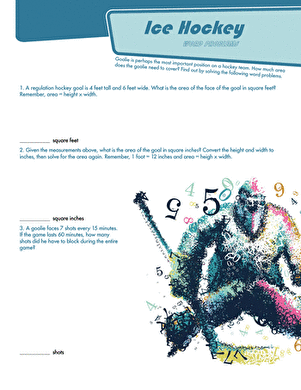 Allow students to share their answers to assess mastery if time permits. Have students explain the commutative property of multiplication. Allow student to explain their learning experience and what they have learned. Correct any misconceptions students may have about the lesson. If there are any students who are still confused, have a peer attempt to explain away their confusion. In this lesson, students will see multiplication problems as a comparison and use word problems to create multiplication equations.